Well that was a nice day! Quite a few months back, lovely Ballarat gal, Emily, of squiggle and swirl, suggested we visit the touring exhibition of the Archibald Prize at the Art Gallery of Ballarat. So tickets were booked, vline timetables consulted and as my girl jumped – sorry, dragged! – herself out of bed for the first day of term, I bounded out the door for my day in Ballarat. I have to say, I was quite excited! I’ve travelled by train on overseas holidays but I’ve never done any longer distance travel at home. I felt like I was going away on a vacation, even if it was just a day trip. There was something slightly decadent about getting out of the city and doing something arty and friendly whilst the rest of the family was going about its normal daily routine. 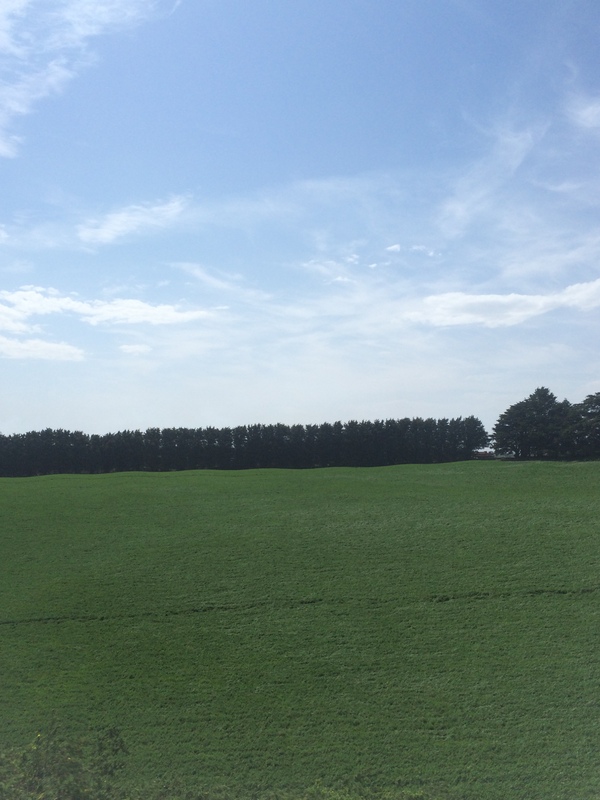 I’d popped my book into my bag thinking I’d have a read on the way up, but in the end, I just looked out of the window most of the trip, watching the green pastures slide by, spotting sheep and cattle grazing, a pelican and some llamas! Pipers by a sparkling Lake Wendouree was the perfect spot for some mid morning sustenance and chat, chat, chat before heading to the gallery. 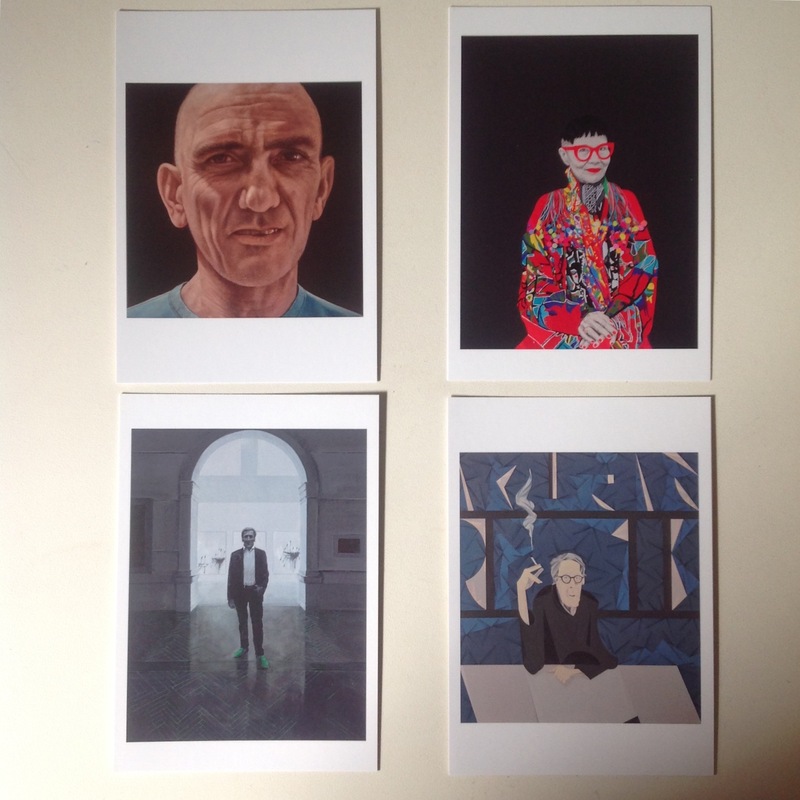 We heard fellow visitors being told that they couldn’t take photos of the portraits so I bought postcards of some of my favourites. How gorgeous is the one of Jenny Kee by Carla Fletcher? It’s actually a collage. It looks amazing – the vibrancy of the colour and the depth added from its cut and paste nature. The black background is deceptive. You assume it is a flat background but in the right light, you can see it is actually composed of rays of black that radiate from behind Kee’s head. Quite stunning. I also loved the green highlights in the portrait of Edmund Capon. The exhibition is open until 15 November so if you’re a Melbourne person, you might want to consider jumping on the train and heading up for a squiz! After enjoying a yummy chilli beef jaffle for lunch at the very cute Little Bird, we went for a short walk by Lake Wendouree. 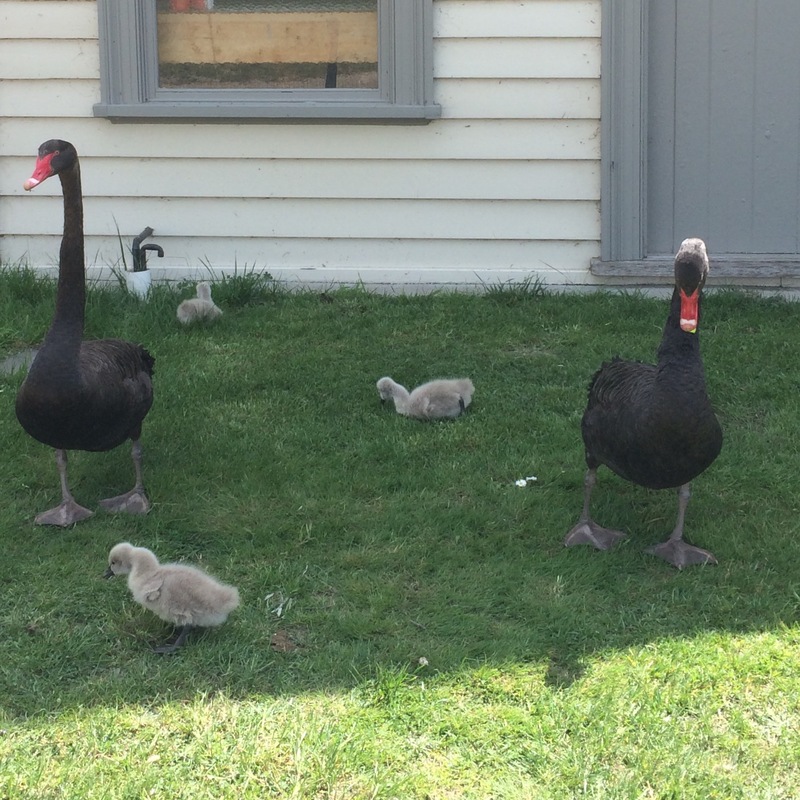 How sweet are these little fluffy cygnets? They waddled into the water for a little swim but were tossed around by some very blustery winds – as were we! And then it was time for home. Sad! The open lands whizzed past me and were all too soon replaced by warehouses, factories and housing estates and then the wavy roofline of Southern Cross station. My day trip was at an end. I am feeling quite inspired by this little adventure. I think I shall have to do it again. A change is as good as a holiday, as they say! Different sights refresh the mind and the eye! Do you like going on day trips? Are you a fan of train travel? Perhaps you have a friend who provides a perfect excuse to step out of the city for the day! Sounds like a lovely day! I love doing something out of the ordinary, too, and it does feel decadent when most people are going about their daily lives! It was, Karen! A nice little break from the domestic role. Sounds lovely Carolyn, I love heading off on the train, don’t get to do it often these days. Delightful. I’m a huge fan of a break in routine, and ‘backyard adventures’ so to speak. My Mum has been known to just get on a random tram, take it to the end of the line, wander about and then head home! Ballarat is lovely, I’ll have to visit when I get back. Glad you had a nice day out! I think that’s a great way for your mum to spend a day. We had to head to Brighton the other day to pick up an eBay purchase and it was like we were interstate! 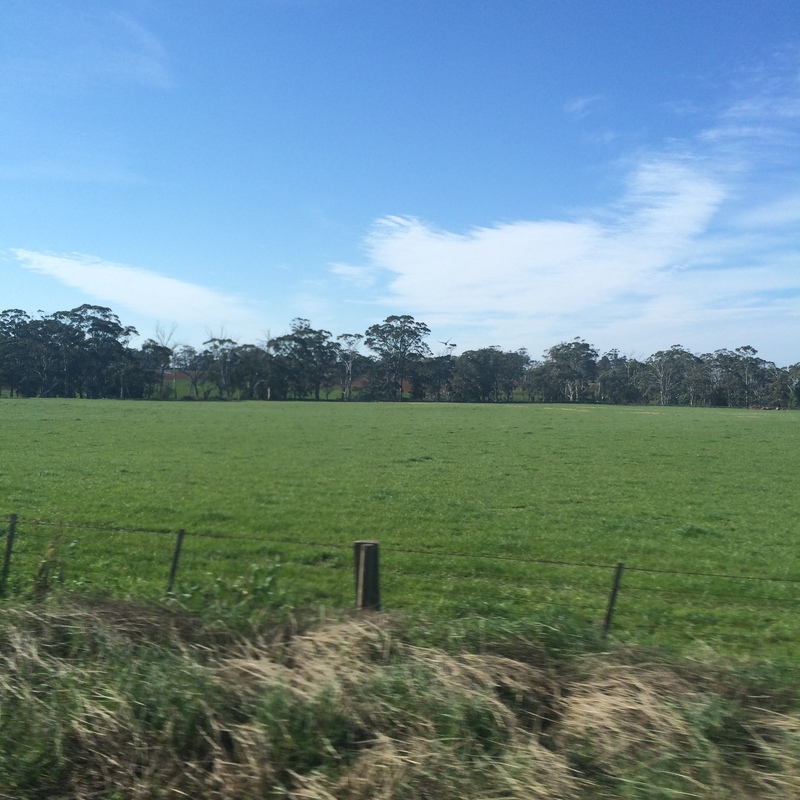 Train trips to regional areas are great fun. I took the V/line to Bendigo a while back to attend a vintage fair, visited the Bendigo Art Gallery, the Golden Dragon Museum and went walkabout. A lovely town to visit by public transport and a terrific solo adventure. 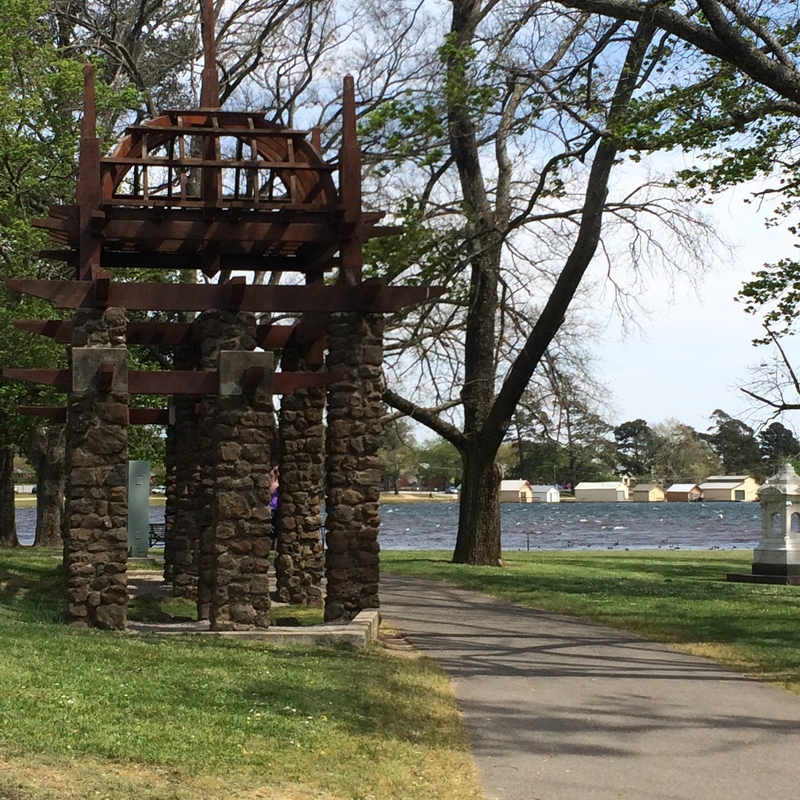 Carolyn, How did you get from Ballarat to Lake Wendouree? Was there a connecting bus from Ballarat or did you have to rely on a car? I’d love to go up to Bendigo too, Vicki. Ages since I’ve been there. Fortunately Emily had her car so was able to drive us around but I heard on the radio this morning that whilst the Archies are on there are free shuttle buses around the city landmarks. I guess ordinarily you could just pop on an ordinary bus – you’d think there’d be a bus that would cover that route. Thanks for stopping by! I think our arty friendship outing days are officially a thing. I had such a lovely day, so good to break away from routine and parenting ( even if we talked about it a lot! ), and do something for ourselves. All mum’s should have these sorts of days, no everyone should. It was ace! Let’s pop it in the diary as a regular thing! Perfect! I am jealous though, I want to catch the train to meet you all! I think I would need something a little more waterproof and faster than a train though. Art and ducks, what a beautiful combination! We need a global meet up, Clare!